The conservative commentator stormed out Sunday when Brian Stelter, host of CNN's media analysis show "Reliable Sources," asked about changes at his website, The Blaze. The Daily Beast reported Friday that The Blaze now has a lean staff of fewer than 50 employees. The report claimed that Beck's "media empire" is imploding. About six minutes into the interview that mostly focused on media bias and the issue of family separations at the US and Mexico border, Stelter said, "I do have to ask you" about the report. "What's going on with that?" "No," Beck responded as he began to take off his microphone. "I think that's the most ridiculous question I have ever heard," he said. "I'm sitting here ready to talk to you about the detaining of children and parents and trying to break families apart ... and you want to play those games? Have a nice day." 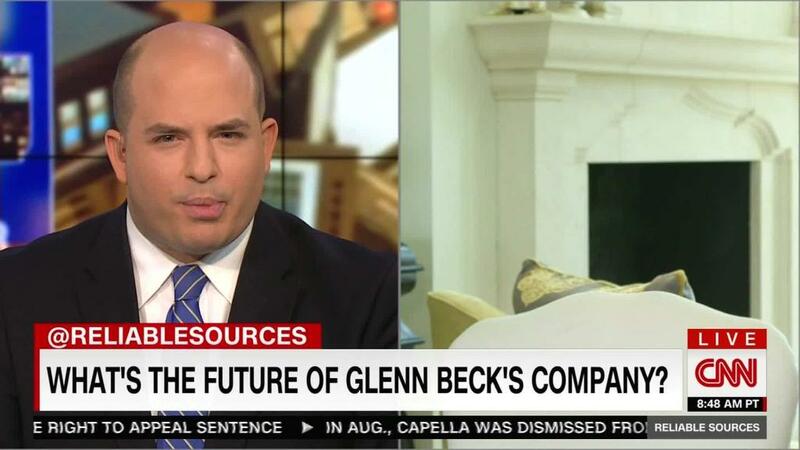 Shortly after his CNN appearance, Beck tweeted about it. He said he walked off the show because he "couldn't take anymore of it." 2. Had the exact same events that occurred this week happened under Obama. The media is so blind. I couldn't take anymore of it on #cnn and #ReliableSources. But I will lay the problem and solutions out for you on radio tomorrow. Other than solutions: "I don't care. Do U?" Beck's digital media venture has had its ups and downs, and The Daily Beast has aggressively reported on the downs. Friday's report said that "managerial shakeups, seemingly ceaseless layoffs, and office closures have depleted morale, tanked the site's web traffic, and caused cable distributors to jump ship." Related: What's broken about media? Can it be fixed? When Shapiro appeared on "Reliable Sources," Stelter asked him about that. "We're always looking for opportunities to grow, and we are very much fans of what Glenn does," Shapiro said. "Any opportunity we have to work with Glenn, like a lot of other folks, we're happy to take." According to the new Beast story, however, the sale is now "effectively dead." On Sunday, Beck had spent the majority of the CNN interview critiquing the mainstream media's coverage of President Donald Trump, and claiming the media did not give Beck enough coverage in 2014 when he visited migrant children at the border. "That's not true," Stelter said. "There was lots of coverage of it in 2014. I remember you going to the border in 2014. Obama's policy might have been ugly. It's a lot worse now." Beck also criticized the mainstream media for "playing this little game of back and forth" with Trump, rather than offering solutions for issues like immigration.